Since 1924, the 50 Books competition has been a yearly mainstay of the AIGA, formerly the American Institute of Graphic Arts. As dust jackets became more common, 50 Covers were added to the competition. This survey of the best in book design represents perhaps the longest-standing legacy in American graphic design. Today, we are pleased to announce that the 50 Books/50 Covers design competition is being hosted by Design Observer. In partnership with AIGA and Designers & Books, Design Observer is hosting this competition for the best book designs for entire books and book covers published during calendar year 2011. In addition to a long list of advisory nominators, nominations are open to the public. Please make your nomination here. The process this year is simple. A 35-person advisory board will nominate worthy books and covers for consideration. Nominations are also open to anyone through a simple online process. There will be no entry fee. There will be no long forms to fill out. And, for the first time, short-run and digital publications will be considered along with commercially printed books. We will also consider any English-language book, regardless of country of origin or publication (bilingual books with English text are also acceptable). 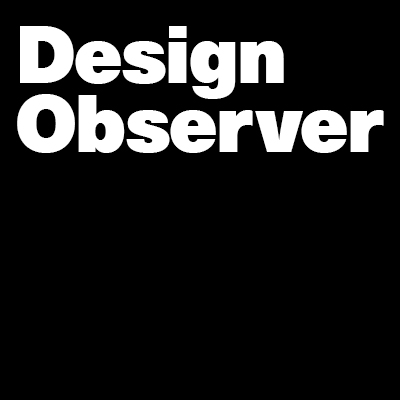 The editors of Design Observer will comprise a jury to review the nominations and to select the 50 best books and 50 best covers published during 2011. The selections will be exhibited online on three sites: Design Observer, AIGA Design Archives and Designers & Books — a unique opportunity for the winners to be showcased and archived on three sites. The nomination process opens July 15 and closes August 15. Winners will be announced in September. Complete information and guildelines are here. Historical 50 Books / 50 Covers collections from 1995-2010 are viewable in the AIGA Design Archives.